At a time when tensions in racial relations have recently come to the forefront of mainstream media attention, I’m glad to see scientific evidence that mindfulness meditation decreases age and race bias. These important new research findings by Central Michigan University psychologists Adam Lueke and Bryan Gibson show that study participants who spent just ten minutes focusing on their heartbeat and breath reduced reliance on automatic associations, which reduced tendencies toward making knee-jerk judgements. How marvelous that simply taking care to be mindful of oneself can translate to gaining access to the ability to better recognize connections with others! Being relaxed amidst increasing chaos is a skill many of us can benefit from, and it’s wonderful to hear enthusiastic testimonials for meditation from increasing numbers of spiritual, business, academic, and sports leaders. In the business world, Google’s “Search Within” class, based on developing mindfulness and emotional awareness, is the most popular in-house training program they offer. I discuss all of this and a great deal more in my YouTube interview with Financial Insider Weekly’s Michael Gray in How to Manage Emotions for Financial Decisions. It turns out we not only can decrease stress and cooperate better with others when we practice mindfulness meditation, but we also make better financial decisions, and benefit from increasing the growth of brain cells and gray matter in the brain stem, hippocampus, and brain. In addition to all these benefits of mindfulness, I suspect we also gain intuitive synchronization during meditative times to people and events we feel most strongly connected with. I invite you to keep these ideas in mind while reading my recent interview with UC Berkeley professor Dr. Yasunori Nomura, as he describes his ideas about the many worlds of quantum mechanics being one and the same as the eternally inflating multiverse. One of the many things I love about Dr. Nomura’s description of the multiverse is the way he so eloquently explains that the sense of expansive infinity we have previously attributed to space in our expanding universe can be perhaps more accurately ascribed to a field of infinite possibilities existent in a static quantum multiverse. As we join the mindful revolution, and recognize the vast realm of possibilities a static quantum multiverse represents, it might be easier to understand why the placebo effect has doubled in efficacy over the past thirty years. I’d love to hear your thoughts about my blog post and YouTube video on how you can flourish with the placebo effect. Join host Rev. 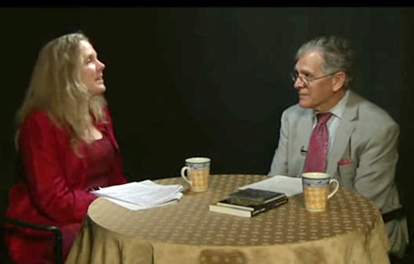 James Ellis as he interviews Cynthia Sue Larson, and together they explore all things spiritual and transformational in the realm of quantum physics. Find out how we experience quantum phenomena in everyday life, and how a better understanding of quantum physics can help you enjoy a much more prosperous life. 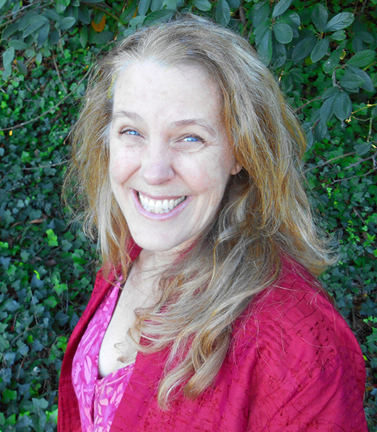 Explore the science of instantaneous transformation with Cynthia Sue Larson, best-selling author of Quantum Jumps, as she presents extraordinary success stories in which people have jumped from one reality into another. 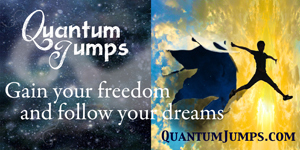 Phyllis Helene Davis interviews Cynthia Sue Larson about the art, science and sheer fun of quantum jumping. Hear real life true accounts of how people have literally jumped into realities in which they were smarter, happier, healthier, and with the love of their life. 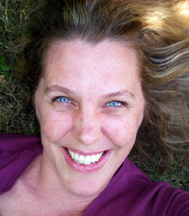 Cynthia Sue Larson discusses the Mind-Body-Spirit connection and the science and mechanism behind some of the most intriguing phenomena. Cynthia welcomes us to the Quantum Age, explaining what this new age means for us in daily life. Cynthia explains the new front-runner holographic multiverse model of reality as proposed by several converging scientific theories, and shares recent experimental findings from the fields of quantum biology, quantum astronomy, and quantum physics. Discover the connection between spontaneous remission, meditation, and positive psychology, and scientifically proven benefits of mind-body-spirit connection. This exciting talk concludes with scientifically proven, laboratory-tested exercises you can do that will provide you with a jump-start for shifting your reality in positive directions. Practice some fun techniques that show you how to access other realities, feel happier, adopt positive biases, gain perseverance, increase willpower and confidence, improve your relationships, and overcome anxiety, fear and anger. Do you remember a time when you skinned your knee as a child, and went to your Mom or caregiver who “kissed it better”? In such situations, feeling better with no scientific explanation for why that might be can be attributed to your having experienced the “placebo effect.” The word ‘placebo’ translates from the Latin to mean, ‘I shall please,’ from placere, ‘to please,’ and comes from a time in the Middle Ages when “placebo” referred to professional mourners-for-hire who sang at funeral masses, pretending to be the sorrowful bereaved. The placebo effect was first recognized when anesthesiologist Henry Beecher reported successfully managing pain in injured soldiers after administering saline injections in place of morphine while working as a field physician for the Allies in World War II. Dr. Beecher watched a nurse give the saline injection to a patient complaining of excruciating pain prior to surgery, and was astonished to see how the patient showed little sign of pain or shock throughout the ensuing surgery. Dr. Beecher continued to repeat this placebo treatment of substituting salty injections for morphine, noting a high rate of positive responses. Placebos are becoming an increasingly hot topic now, thanks to the way more and more people are experiencing positive placebo effects. Arthur Barsky, director of psychiatric research at Brigham and Women’s Hospital in Boston, notes, “The placebo response was about twice as powerful than it was in the 1980s.” Placebos have even been proven effective when people knew they were receiving the placebo—and not the real medicine. It helps when study administrators say things like, “Do you know what a sugar pill is? A sugar pill is a pill with no medicine in it at all. I think this pill will help you as it has helped so many others. Are you willing to try this pill?” This statement was part of a standardized script read to participants in a classic non-blind placebo study in which all participants experienced marked improvement in just one week. I've been following Professor Yasunori Nomura's work this past year with tremendous interest, since he was one of the first theoretical physicists to publish a paper on the topic of the many worlds of quantum mechanics being one and the same as the eternally inflating multiverse. This perspective is one I consider to be extremely promising, both for its elegance and also for its ability to explain much that other theories cannot so easily address. 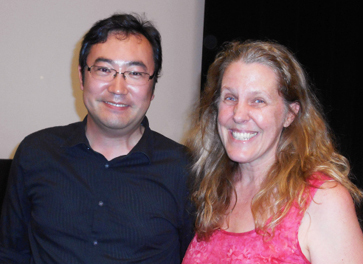 I was thrilled when attending a screening of the recent documentary film, "Particle Fever," about the hunt for the Higgs boson to see Yasunori's name up on the podium. I'd received an invitation to attend this UC Berkeley event through the Physics Department where I'd studied and received my degree many years ago. Dr. Yasunori Nomura was one of the panelists who talked about what we're learning from the hunt for the Higgs boson after the show, along with Lawrence Hall, Marjorie Shapiro, Walter Murch, Mark Levinson, Petr Horava, Beate Heinemann, and Surjeet Rajendran. Dr. Nomura is a Professor at UC Berkeley at the Berkeley Center for Theoretical Physics, where his work is primarily focused on particle physics and cosmology. Learn what you can do to better manage stress, and how to utilize the top tips from the mindfulness revolution in this fun, informative video interview! Cynthia Sue Larson talks with Michael Gray about how we can better manage emotions when making financial decisions. A recent survey conducted by the American Psychological Association indicates as many as 8 in 10 Americans report feeling stressed about money concerns, and there is a strong correlation between stress levels and hospitalization. 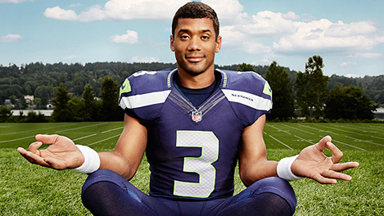 What do 2014 Super Bowl winners, the Seattle Seahawks, know that helps them face challenging situations with near-perfect performance, and how can mindfulness help us make better financial decisions? Why is Google’s most popular in-house employee course, “Search Inside Yourself” in such demand? Learn some of the secrets behind emotional intelligence, one of the top predictors of financial success, happiness, and wellbeing. Cynthia and Michael talk about their experiences practicing martial arts, and share insights they’ve learned about the power of breathing and focused attention. I don't know what to say or how to say it. I saw something yesterday that's got me quite confused. I know you can't provide me with a concrete answer. I guess I'm just looking to share and find direction. I mentioned it to my wife and she basically ended the conversation with an "OK." How can I share this without sounding nuts? Yesterday in the most mundane of situations, I saw the most mundane of things that turned into something I can't explain—but I'll try to describe it. I went to my son's elementary school to pick him up. As usual I sat in a long line of cars waiting for the 2:15 pm afternoon bell to ring and for them to come out. Everyday, there are these little white buses (that probably hold ten or so students) that come to the elementary school to pick up kids for the local private schools (for some sort of after school programs). They're always the first to pick up (before the cars full of parents) and they pass the rest of us waiting in line on their way out. Just as any other day waiting in line, I was killing time surfing the web on my cell phone. I heard the bell (actually a tone over the P.A. system) ring for dismissal. After a few minutes, I looked up from surfing the internet and just so happened to catch a glimpse of the top of one of those vans through the windows of the cars in front of me. The glimpse lasted for a quarter of a second or less. But I've always been quick to catch visual details and that image stuck in my head. It was rounding the corner headed my way. The thing is—it temporarily disappeared behind the traffic in front of me—and it never emerged (there's only one way in/out). While I was thinking that that was certainly odd, I saw another little white bus emerge from the pick up area. There's usually 2 to 3 of them each day. This time I followed it much more closely with what I just saw burned into my memory. It too passed through the exact same car windows in front of me. It too showed the exact same reveal of it's roof line/ side windows. It too disappeared in the exact same location as the first bus. It couldn't have happened anymore identically if I had wanted it to. But the difference was, this bus, the "second bus" reappeared—and continued to drive past me on the way out. So. What happened to the first bus? How could an event I've never seen before (in that exact detail) repeat itself within a matter of seconds? I did a bit of online research last night. Which hasn't really helped by the way. That's when I found you and read a bit (and I stress a bit) of your stuff on deja vu and glimpsing into the future. I can't think of any other way to describe it. And I'm a SKEPTIC on stuff like this. I believe in science—not superstition or religion. Yes, I saw "The Matrix." And the deja vu cat scene is the most accurate way I can describe it. It's really damn close to that. I hate referencing a movie scene when trying to explain this, but I'm at a loss of words. I want answers, but like I said, I doubt you can truly provide them—but I'll ask anyway. Did I catch a 5 to 10 second glimpse into the future? Was it an optical illusion? Was I simply "seeing" things? Was I expecting to see little white buses, so I made them up in my mind? How did I see it in such detail (twice)? Why did I see it for such a mundane event? What can I do to replicate it? Can it be replicated? Would I be wasting my time? Should I just ignore it unless it happens again? I wasn't under any stress. I wasn't sleep deprived. No, I wasn't on any kind of drugs. BUT, I did actually see something happen twice. It wasn't a "feeling" like I've read about—like some sort of premonition that gave me a gut feeling. I actually saw it. I SAW it plain as day. I had a lucid dream once (back when I was 20 years old) but this was nothing like that. This was REAL. This is the first and only time I've ever experienced this. How do I approach this without the word "crazy" or "hallucinating" entering the conversation? I know I'm a sane, rational person. I'm just confused about what I experienced yesterday. I want to understand. Note from Cynthia: Thank you for sharing your experience of seeing a brief glimpse of the top of a white van that inexplicably disappeared, before you again saw the top of a whit van that this time continued driving in the normal, expected pattern. I've also witnessed events repeat for a second time as if happening for the first time, yet I know for certain they've happened before. Things that appear, disappear, transport or transform are called "reality shifts," which also include changes in the experience of time. The best explanation for what is happening is that we sometimes witness quantum behavior on a much-larger-than-quantum scale. Such quantum behaviors as: teleportation, tunneling, coherence, and superposition of states can be observed in regular, everyday objects. I write about this phenomenon in my books, Reality Shifts, and Quantum Jumps. I hope you give yourself a pat on the back for being observant, rather than simply assuming you must be mistaken about what you observed. Most everything we observe is not really "truth" nor is it what's "out there," as all leading perceptual experts and cognitive scientists will explain. All of our senses translate what is "out there" to something we can interpret, and what scientists are learning recently is that quite likely, all of our senses (smell, sight, touch, taste, hearing) are quantum in nature. I took the people who were buying my house downstairs into the cellar to show them the Furnace. I had an old rusted hot water tank down there and Culligan hookup with electric and plumbing. But when I showed the furnace, behind it was a New Culligan hot water tank that was never there. This was not my cellar, I have been there when they put in the furnace in and there was never a newer Hot Water Tank down there, just an old rusted half decomposed hot water tank and the old Hot Water Tank was not down there. This was not my cellar, I have been there when they put in the furnace and there was never a newer unrusted hot water tank down there. The Human Aliens say that we enter in and out of the Parallel Universe on a daily basis and don’t even know it and a Parallel Earth in another Dimension. If we look carefully we can see we are not where we are suppose to be, but most people never see anything, because they are blind. Today I entered that Parallel Dimension of Earth. No one has ever taken out the Culligan Water system, there was the electric extension cord that plugged into it, but it wasn’t but the electric extension was there hooked up to nothing. Just like the many times Money disappears from my pants pocket only to return there the next day or in a few hours. Things I place on my desk in front of me over the years would disappear when I looked away and then look back to the desk, only to reappear many hours later, or the next day. Well anyway I sold my house and will be moving next week to new house in the Southern Colorado Mountains. Note from Cynthia: Thank you for sharing this startling reality shift! It seems clear there was no way someone could have snuck a brand new hot water tank into your cellar without your knowing about it, yet I can't help but be intrigued by the fact that most likely the new owners would be pleased to see a new hot water tank rather than the decrepit tank you recall! Best wishes for your move to southern Colorado. 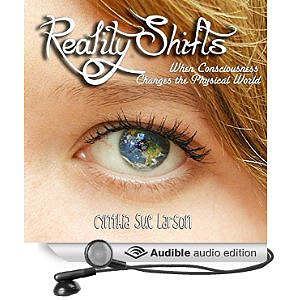 Love your High Energy Money book and I’m currently reading your Reality Shifts book. I am so thankful to read about someone who has experienced that vibrating when waking, now I know I wasn't going crazy. And thank you for discussing how events can double due to consciousness pressure zones—omg it was happening to me several times a week for a while, and I prayed to spirit to tell me what was going on. It was starting to scare me and it just wasn’t something I could share with others. Reading your book has been a real blessing. Anyways, I've had a few reality shifting experiences, but there is one I really want to share with people. Back in 1998, I got a new internet connection, and decided to go to my favorite website to test it and download some video clips. To my amazement, every video clip I downloaded was downloading three times faster than dialup is capable of. I am a very tech-savvy guy, and couldn't figure how such a thing could happen. I decided to disconnect and reconnect my internet to see if I could recreate this, and when I did, it only downloaded at the normal speed—and never again have I seen anything like this. 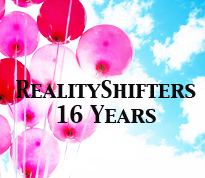 Note from Cynthia: Thank you so much for writing to me to let me know how helpful it's been to read in my Reality Shifts book how people noticing reality shifts often also notice vibrating when awake. I'm glad to be able to reassure you that you're not going crazy, and that events can repeat! Thank you also for sharing your experience with a new internet connection that downloaded files at a rate three times faster than your dialup at that time was capable of handling. How wonderful to experience such speedy service for a while—until you disconnected and reconnected it. This is a fascinating type of reality shift, and I'd love to hear if other people have encountered something like this, too. There is one more experience I want to share. One morning in 2013 I did a meditation to attract wealth. Later that day I went to the bank and after making a deposit I checked my transaction summary and it showed I had an additional $25,000 in my account. I took my slip to the teller and he checked the account number on the slip and it was correct however my account was showing the correct balance. they couldn't figure out why the slip showed the extra money. It is my belief that I shifted into another reality where I did have the extra money then shifted back with a transaction summary from another reality. Note from Cynthia: Very cool! How wonderful to get to see a transaction summary showing an additional amount of $25,000 in your bank account! It's been my experience that money that appears tends to stick around best (rather than disappearing as mysteriously as it arrived) when it's absolutely needed, so perhaps at that juncture in your life the money would have been nice and very much appreciated, but wasn't a necessity. Thank you so very much for your lovely email and words of appreciation for me, my website and my ezine! I believe you absolutely 100% correct regarding the difference we can experience in our lives when we choose to be happy and radiate joy and peace--it can feel like we're living in a world of synchronicity, where everything is beautifully coordinated and flows. And our senses of sight, smell, hearing, taste and touch are so much more vibrant, too! Thank you so much for writing to me with this question! The essential steps in quantum jumping and reality shifting have to do with detaching and disengaging from a current given physical reality in a state of meditative, energized, relaxed awareness. In such a state of being, one is aware of being consciousness, with access to a wide variety of possible physical realities. From this state of awareness, it's then possible to suddenly simply "know" where a misplaced object is situated—even if you had just checked that location fairly recently and it was not there before. Entering into such a state of contemplative awareness is the key to success, and I describe this state of mind in some of my books, such as Reality Shifts, and Quantum Jumps. I hope this helps! Thanks so much for writing to let me know you're reading and enjoying my book, and that your dad just had an "alive again" experience with his friend—who you were recently thinking about! Yes, this sounds just exactly like a reality shift to me, and in fact, I mention an example of seeing my roommate's dead cat come back to life in my book, Reality Shifts. Such shifts can be expected when we acknowledge that there are many possible futures as well as many possible pasts, and sometimes we see evidence of different pasts than the ones we remember. To answer your question, you don't need to know any science in order to have enjoyable and successful reality shift experiences—just as you don't need to know all the inner workings of internal combustion engines in order to drive a car. It's nice to know a little bit about the general concepts, but in the case of quantum physics, even the world's top experts can't say they completely understand what's going on. :-) My sense with regard to quantum physics, however, is that we're on the verge of some big break-throughs in terms of comprehending much more about the true nature of reality than we've ever understood before. I'm so excited about this that I'm in touch with physicists and working toward a goal of developing a quantum paradigm—a clearer sense of what quantum physics is really all about, and how we can best understand it. I’m 25 and have been searching for spiritual answers for awhile now. I was raised Christian, but left the religion when I turned 21, and have been on a journey to finding the truth ever since. I was browsing online and came across your website. I found it very interesting. I love reading about the law of attraction and manifesting what you desire. Is this quantum jumping the same thing? I am very interested in this and would like to know more. Do you have any other websites or programs that provide more in depth information about quantum jumping? "Dying to Know You" is a beautifully written, easy-to-read guide to the near-death experience that is highly recommended for anyone curious about death and the near-death experience. This book includes numerous noteworthy near-death experiences, presented by three-time near-death experiencer and near-death experience researcher and expert, PMH Atwater. There's a delicious simplicity in this elegant overview of life, death, and the near-death experience fueled by Atwater's quest to discover what we can learn from those who have experienced death for minutes, hours, or days—and come back transformed by their experiences. Atwater explains that there are two equally significant aspects to every near-death experience: the experience, and the aftereffects. The near-death experience might feel like arriving in Heaven, or it might feel deeply unsettling and more like visiting Hell—but regardless of how joyful or upsetting the experience, adult and child experiencers report going to places where they resonate energetically, based on vibratory frequency. 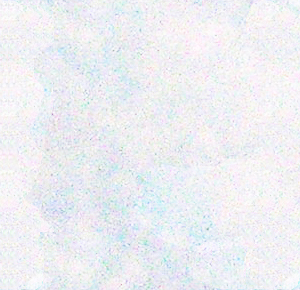 The near-death experience after-effects include physical and psychological changes including such things as: light and sound sensitivity, comfort with silence, highly intuitive, vivid dreams, acutely aware of injustice, magnetically attractive to animals and birds, electrical sensitive, sensitive to pharmaceuticals, lowered blood pressure, smarter, sensitive to smells, allergies, affinity with Nature, more loving, wakes up around 3 or 4 am. While the near-death experience is typically over within minutes, hours, or days, the aftereffects can go on for years, decades, or the rest of the experiencer's life. My favorite part of this book is the section summarizing "Children's Version of the Big Picture," which includes such gems as, "God exists. It doesn't matter what God is called, God is still God. And we are each part of God, always. We only think we can be separated from God. Really, we can't." The rest of this section is written just as simply and down-to-Earth as this, so any child can understand it--which makes a whole lot of sense, since it was written by a near-death experiencer and researcher who has spoken with thousands of near-death experiencing children. There is another summary section for adults, but the children's version was absolutely my favorite, which might be due to the fact that I am a childhood near-death experiencer myself. I love the brevity, clarity, heart-centeredness and intensity of Dying to Know You. This is a small book that succeeds at packing a lot of light and love into a few pages, brilliantly conveying the quintessential perennial wisdom transforming the lives of millions of near-death experiencers worldwide. Highly recommended! Is it possible that much of the American serious health crisis can be attributed to out-dated advice about diet and exercise? Nutrition and fitness expert Mike Sheridan explains that not only is this possible, but he can show you exactly how and why our commonly accepted views need to change. The cover photo and title of "Eat Meat and Stop Jogging" can act as a bellwether to quickly sort out believers from the open-minded, serving to open conversations with people whose beliefs aren't so fixed that they're unable to think about facts they might find disturbing. I love this book with the contentious title that shares results from cutting-edge studies showing such facts as meat-eating women live 32% longer. This kind of fact is not common knowledge in my west coast college town that is famous for the quantity and quality of its vegetarian cuisine--which leaves me wondering why such information is not yet popularly understood. Sheridan debunks dozens of myths that are currently damaging peoples' health, citing numerous scientific studies that explain such things as the dangers of calorie restriction, and the hazards of reliance upon toxic substances such as soy as a dominant protein source. With regard to 'jogging,' Sheridan describes the benefits of building up muscles through shorter, more intense workouts, rather than through aerobic training, which must increase in intensity and duration in order for people to experience continuing benefits. Sheridan notes that "... the biggest issue with moderate-to-high intensity aerobic exercise is that it results in an overabundance of free radicals," citing research showing how problems arise associated with extremely high long (2 hour), or extremely frequent runs or aerobic exercise sessions. Much of what Sheridan reports is information I've seen corroborated by independent researchers such as Dr. Beverly Rubik, so I can attest to the cutting-edge nature of the content in this book, and give it my highest recommendation.